Looking for a place to store your stuff? Checkout rates and availability below. 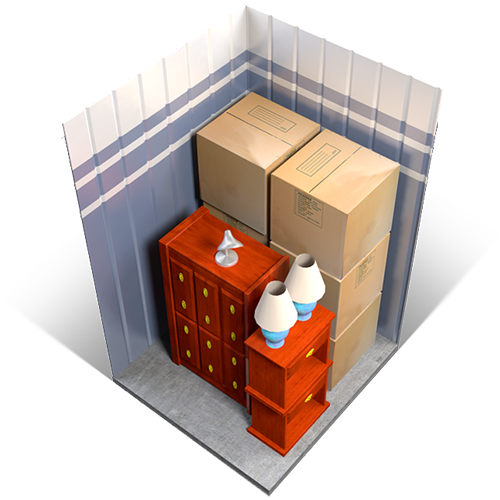 The 5×5 storage unit is roughly the size of a home closet. Ideal for storing extra items such as boxes, twin-size mattresses, books, records/files, and other small miscellaneous items. 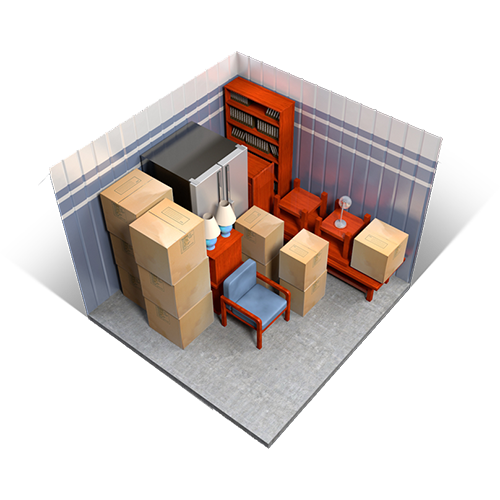 The 4×10 storage unit is ideal for storing the contents of a studio apartment, including a number of boxes, kitchen appliances, small mattress set, chairs, or even a motorcycle. 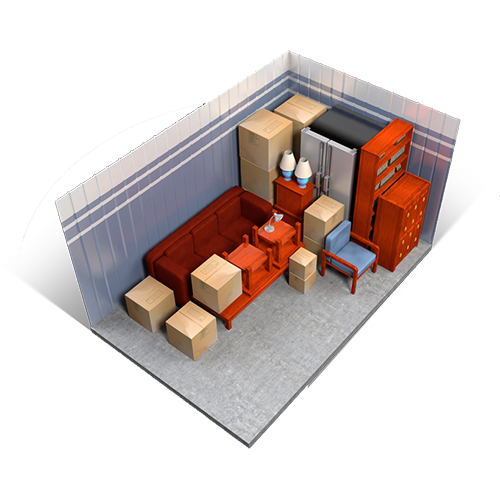 The 5×10 storage unit is ideal for storing the contents of a studio apartment, including a number of boxes, kitchen appliances, small mattress set, chairs, or even a motorcycle. 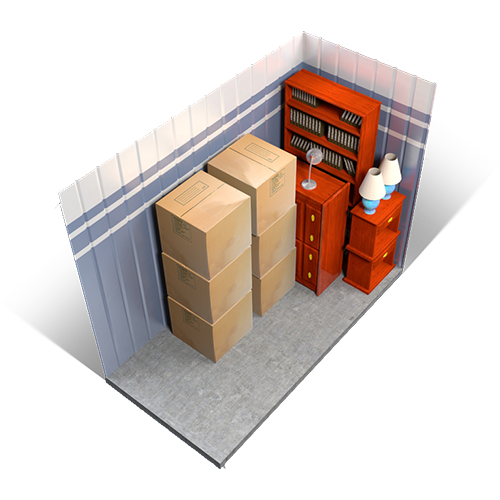 The 10×10 storage unit is ideal for storing the contents of a 2 bedroom space. Perfect for holding an entertainment center, king-size matrresses, larger appliances, dinning room, furniture, and other various items you would find in a 2 bedroom space. The 10×15 is perfect for holding the contents of a 3 befroom space. Great for storing large screen t.v., bikes and other sporting equipment, large furniture, full dinning room set, or even music equipment like a C-3 piano, drum set, or all the equipment needed for a several-month long tour. A 10x20 is ideal for a small car with some extra room to spare or a 3 to 4 bedroom set. 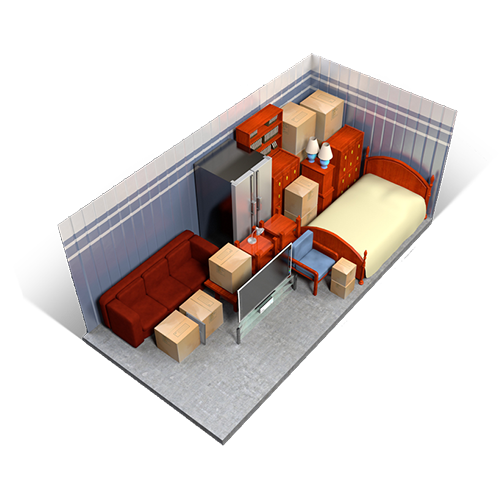 Fill remaining space with sports equipment, small furniture set, boxes, or other small to medium personal items. Each unit requires a lock and insurance, which may be purchased onsite. Lock and Leave Self Storage located in Reedley, CA has a wide variety of self-storage unit sizes to choose from. Click on the Small, Medium, and Large tabs to see unit rates and availability. You can reserve available units by hitting the Reserve Now button. You may also give us a call at 559-638-3344. We are happy to assist you in reserving your unit or putting you on a waiting list for the next empty unit. There is no charge for this. If we are not in, just leave a message and we will return your call promptly.